absolutely love Jane Brockett's blog, long before I have flowers blooming she's sharing gorgeous tulips and flowers from her garden. It gives me a bit of spring while I'm still waiting for it here in North Dakota. So given my Spring post earlier this week, I'm sure you can see why I love all the tulips she shares. Yellow tulips are my favorite. 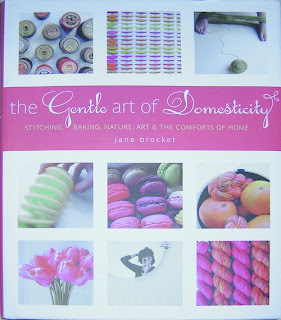 Her book The Gentle Art of Domesticity: Stitching, Baking, Nature, Art & the Comforts of Home is a bright, colorful, beautiful book to peruse. 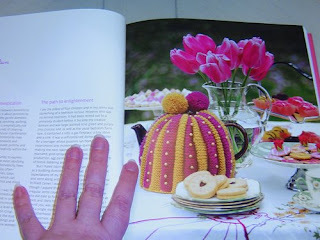 I could spend hours reading, baking and analyzing every little detail. 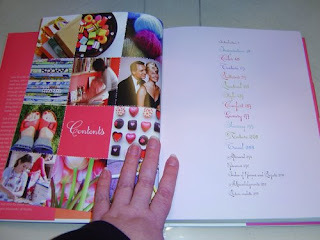 The organization is quite interesting, there is no real index, just a bare wisp of an index at the end pointing you to the recipes and a few of her projects. Really this book isn't really a "resource book", it's more of a rainy day companion... and sunny days, and snowy days, and windy days... you get the point. The chapters are broken up in an interesting manner titled Inspiration, Color, Texture, Patterns, Practical, Style, Comfort, Luxury, Sharing, Sharing, Nature, Travel... Looking for her Rock Buns recipe? You'll find it under Comfort. Want to force Hyacinths in the Winter? Look under Practical. 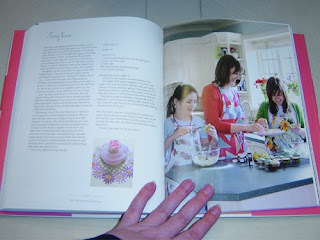 Jane is also known for her fairy buns and the brilliant fun icing colors that she manages to achieve. Fairy buns, isn't that a much more fanciful name than cupcakes? And last, but by no means least, I had to share a pic of her tulips! Every spring while I'm still waiting for my snow to melt, I indulge in a little spring vicariously through her blog. I'm always grateful for the glimpses of bits of green with gorgeous crowns of pinks, reds and yellows. This looks like a must have! Thanks fr sharing. Love the fairy buns!